William Floyd Middle School (WFMS) librarian Julia Hannibal was recently selected to receive a 2016 NYSCATE grant for $1,980. 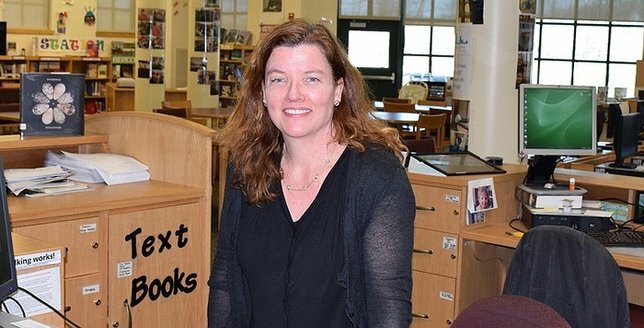 Pictured is William Floyd Middle School's librarian Julia Hannibal. Moriches, NY - September 27, 2016 - William Floyd Middle School (WFMS) librarian Julia Hannibal was recently selected to receive a 2016 NYSCATE (New York State Association for Computers and Technologies in Education) grant for $1,980 which will go toward a project in which students from the WFMS Code Club will build Raspberry Pis, low-cost credit card sized computers designed to improve programming and hardware skills of students at the pre-university level. Subject: LongIsland.com - Your Name sent you Article details of "William Floyd Middle School Librarian Awarded 2016 NYSCATE Technology Grant"